« Why on Earth Write in the Key Signature of F-Sharp (Six Sharps)?! Nine masked trumpeters from the Concert Band (7th grade) perform "Phantom Trumpets"
If you were required by state law to attend one band concert this year at a junior high school in Western Washington, you would have to consider going to Kirkland to hear the bands directed by Ward S. Brannman. He runs a top-notch program, and the music produced by his young musicians at a concert last Tuesday was proof. 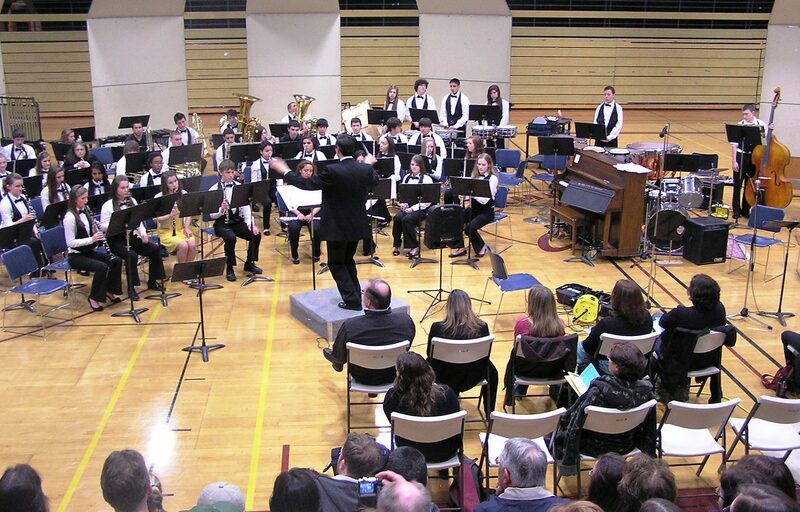 Leading off the concert was the Kamiakin Jazz Ensemble playing, among other charts, “Night and Day” by Cole Porter. Next, the Concert (7th Grade) Band performed three pieces: “Dance of the Witches,” “Irish Festival,” and “Phantom Trumpets.” In the latter, nine trumpeters wore masks and came to the front to play (see photo). One of them is a student of mine. I was very proud. “Dance of the Witches” is a theme (in 6/8 time) written by John Williams for the 1987 movie, The Witches of Eastwick.Third was the Symphonic (8th Grade) Band, playing “Overture in C Minor” by Eric Osterling and “El Camino” by Jerry Nowak. Again, the trumpet section was featured in a mariachi section of “El Camino.” Finally, the Wind Ensemble performed Vaclav Nelhybel’s “Lyrical March,” featuring a flute solo and a trumpet duet. Five selections from Les Miserables, arranged by Warren Barket, concluded this special concert. The stage production of this popular musical debuted 25 years ago. Trumpet solos were featured in two of the selections. I know from tutoring one of his trumpet players that Mr. Brannman is diligent about setting high goals for his students and then encouraging, expecting, and rewarding excellence. 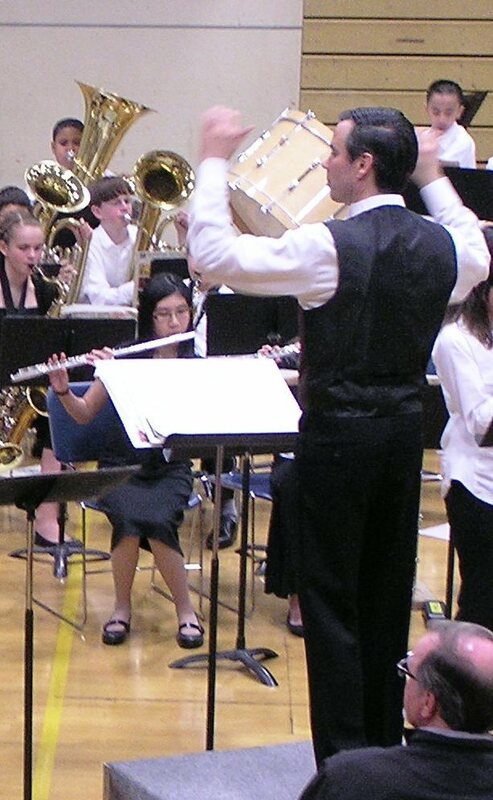 At the same time, he mixes lots of fun, excitement, and recognition into his music program. This is the second concert of his which I’ve attended (see my post of 19 February 2010). their favorite teachers for good learning experiences in elementary school. 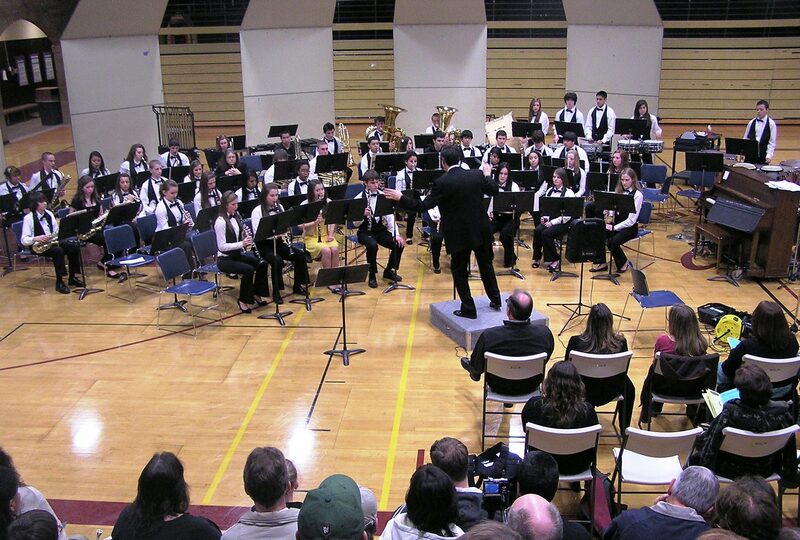 Mr. Brannman also passed out several awards to various band members. And finally, he selected music that featured some of his best musicians. He builds pride and self-esteem through superior performance. Go hear his bands when you have the opportunity, whether or not it’s required by law! This entry was posted on April 7, 2011 at 10:14 am	and is filed under School Concerts. 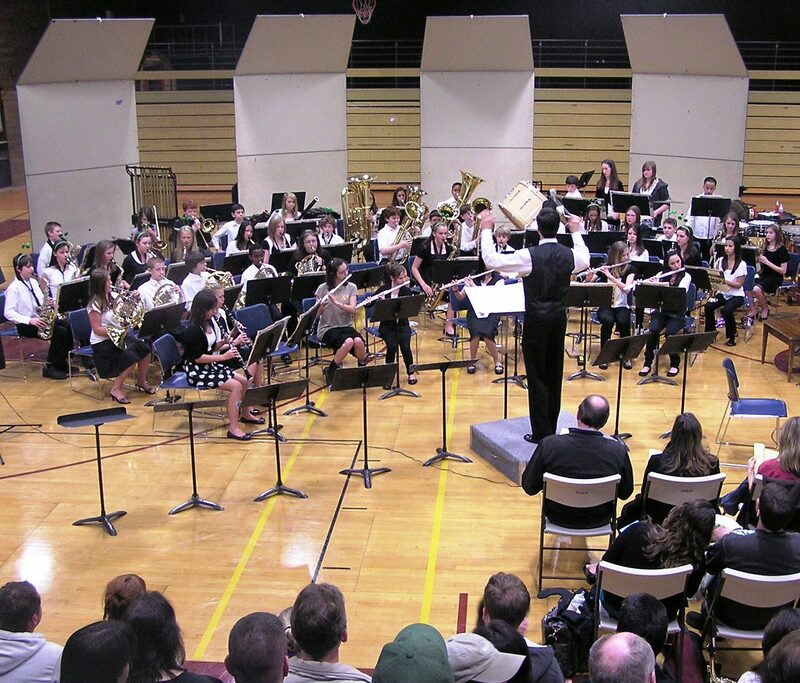 Tagged: bands, Cole Porter, Dance of the Witches, ensemble, Eric Osterling, Helen Keller Elementary, jazz, John Williams, junior high, Kamiakin, Kirkland, Lake Washington School District, Les Miserables, Overture, Phantom Trumpets, Quest Program, The Witches of Eastwick, trumpet, trumpeters, Ward Brannman, Warren Barket, wind. You can follow any responses to this entry through the RSS 2.0 feed. You can leave a response, or trackback from your own site. Indeed, it was! 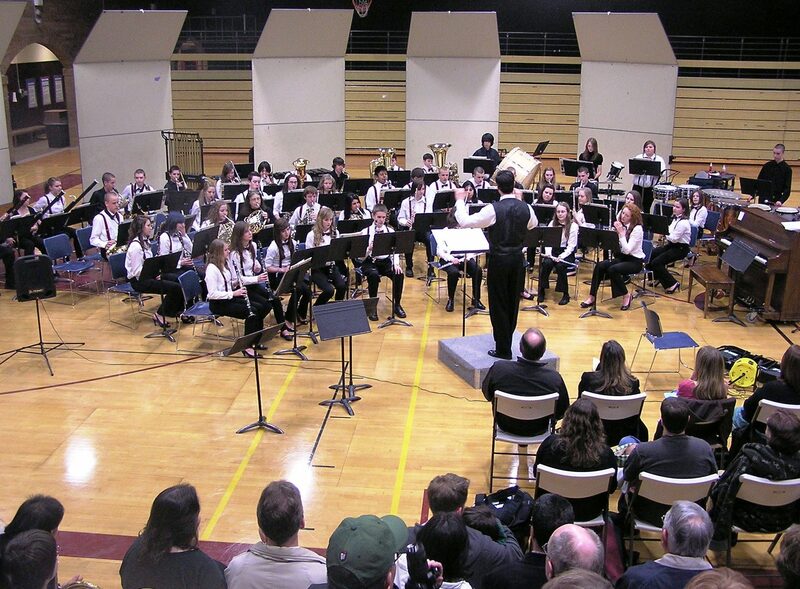 KJH has a very large and successful band program. My pleasure, Ward. Yes, I’m sure the parents appreciate the recognition earned and deserved by their kids. See you at a future concert.